How Long is a Twin XL Bed? About 90% of all college dorms use Twin XL size beds. 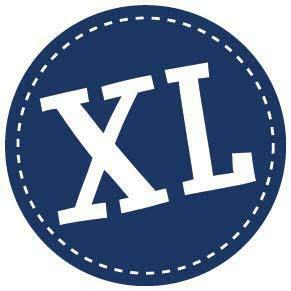 The longer XL mattress is the same narrow width as a standard Twin mattress to allow for greater flexibility in the small dorm rooms but it is 80 inches long allowing taller young adults to sleep comfortable in a full length bed. Twin XL beds have dimensions of 39 inches wide by 80 inches long. Queen and King size mattresses are also 80 inches long, while Twin and Full size mattress are shorter. College dorm mattresses are usually 8 to 10 inches in height. Most Twin XL size sheets will fit mattresses 12 inches deep (tall) or more. If you are concerned that your residence hall mattress is not very comfortable and would like to add a mattress pad topper to make it feel more comfortable you should allow for another 1 or 2 inches in height that your Twin XL fitted sheet will need to cover. If you are adding a waterproof mattress protector these are usually thin enough so you do not have to take them in account when determining how deep your fitted extra long twin sheet will need to be.